What Can a Book Do? 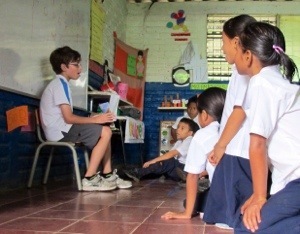 Guest Blogger Dylan Herrada shares how he’s making the world a better place. Editor’s note: One can’t travel through Central America without having a jolt of guilt from the extreme poverty. There’s an undeniable gulf between the few ‘haves’ and the mass of ‘have nots.’ We had all been feeling a nagging desire to do something, and were hoping to find somewhere to volunteer. We had come across various volunteer organizations over the last few weeks. The reality of last minute volunteering is that it’s not as easy as one would think. Understandably, organizations seem to want at least a week long commitment. There’s also been the questionably large financial commitment–explained as processing and project fees. Such a financial request made us wonder who was padding their pockets. Then a few days ago, we had a chance encounter while waiting for a bus. Since travelers are rare around here in El Salvador’s nascent tourism industry, we immediately recognized each other as foreigners amongst the local crowd at a bus stop. We never miss the opportunity to connect with a fellow adventurer. 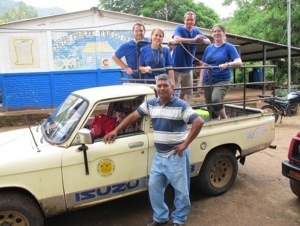 A few days ago we met some people that were doing some volunteer work in El Salvador. 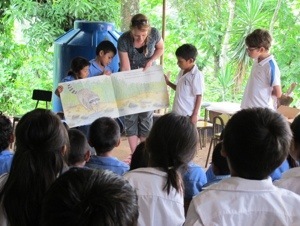 They were delivering books to remote rural schools. Some of these schools had a library of maybe 10 books. We asked if there was anything we could do to help. They said yes. The next day we woke up at 5:30 am. 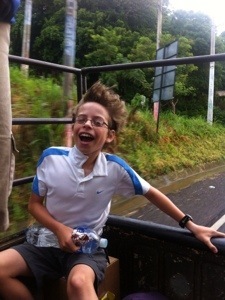 By 6:30 we were riding in the back of an old pickup truck. We went to the first school that had about 45 students ranging in age from 3-8. Some of the students had never seen Americans. Some of them couldn’t read at all while others were barely reading. We gave them a box of Spanish books containing around 50 books. I read a book to the children and they listened carefully and really liked it. They were excited that we had brought them these books. At some schools, each student’s mother had made their child a special book bag to take a book home and share it with their family. The problem was that they had so few books, only one child in each class was allowed to take home a book each night. This is a picture of what one entire school’s library looked like. 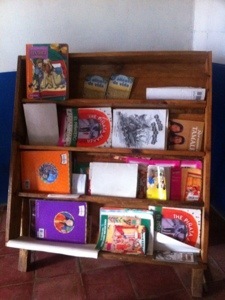 Now that they have the books we delivered, more children can bring home a book and read. To us the books may seem like a small amount but to them it was a mountain of books. There were three schools that we visited in total that day. Some of the schools had more students. At the other schools, we did a presentation of some of the books. We read them the 2 books that the kids in other schools had liked the most. Then I helped to teach them some basic English words, give them the box of books and get ready to move on to the next school. It wasn’t sad to leave since we knew that “Books for a Better World” would be back next year to encourage the teachers, visit the school and bring more books. Most of the roads were dirt roads so we went down some steep, rocky hills. The rain had made deep ruts in road and we had to hold on tightly. Sometimes, the truck would slowly slide down the hills. In all we went to 3 schools. We had intended to go to four but it started raining heavily and the dirt roads became inaccessible. We had to go back to the hotel, soaking wet but feeling like we had been a part of something important. That day will definitely be the highlight of our vacation. What an amazing day we had. Never could have planned it, but it was perfect how it worked out. Glad it seemed to impact the kids, too. I was super impressed with this organization. It was small enough to be extremely fiscally responsible but large enough to be effective. They work with the Department of Education very loosely to gain appropriate entré into the schools–but not so closely that there’s any concerns about favoritism. Their book selection was culturally sensitive and relevant. They have a great rapport with the teachers and directors and they see a marked improvement in the schools with whom they’ve developed an ongoing relationship. I don’t think I’ve ever seen a volunteer organization with such a low overhead–though this did mean we traveled in the back of a pick up! It was fun, meaningful day. I can even see Dylan and Abigail following in the footsteps of Matt and Wendy some day and heading out on their own adventure together… If you’d like to know more about Libros para un Mundo Mejor, go to http://www.booksforabetterworld.com. And in a few weeks, check out the website to see their updated video that they made. Maybe you’ll recognize a few faces. This is so cool on so many levels. You and Jorge are the best parents in the world to give your children these experiences. Beautiful story, as a professional international development worker in Latin America and the Caribbean for the past 49 years, I have about 15,000 words to add, but none of them are as important as Dylan’s own observations, for which I thank him from the bottom of my heart. If I would add just one thought, it would be to KEEP LISTENING to the local people, not just to the people who say they speak for the local people. Terrific trip, great learning experience for the Herradas, AND for those of us who read your wonderful stories, THANK YOU SO MUCH. Susannah, so impressed with you both and the kids. Wishing we were as adventurous. You should correct your link. I think it is .org, not .com. I’m so glad you ran into my friends (and fellow volunteers) in El Salvador! Your family made a difference that day. I was inspired by your narrative. Enjoy the rest of your trip! Amazing! I am so glad this opportunity came up for you. I am so proud of you guys! 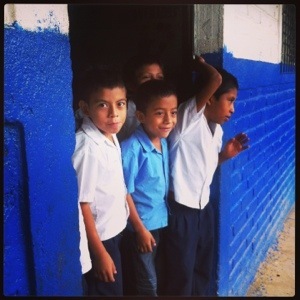 You are making a big difference on those childrens´ lives! I can´t wait to hear about all of your adventures! 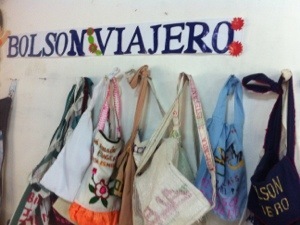 Are you coming to El Salvador? I’m here! Just let me know! Oh Ana, so sorry we missed you. Just left El Salvador after 2 weeks. Went along Ruta de las Flores and El Tunco and Suchitoto. Briefly through San Salvador. Now in Grenada, Nicaragua. Tried to find you on FB–are you on? We are posting as we go. Be sure to tell Ms Davin at Key of this adventure. She founded an org in El Salvador that delivers books to schools/kids as well. Perhaps we at Key can do more….. Thanks Chris. I definitely will. I’d love to get Key involved with an organization like this.